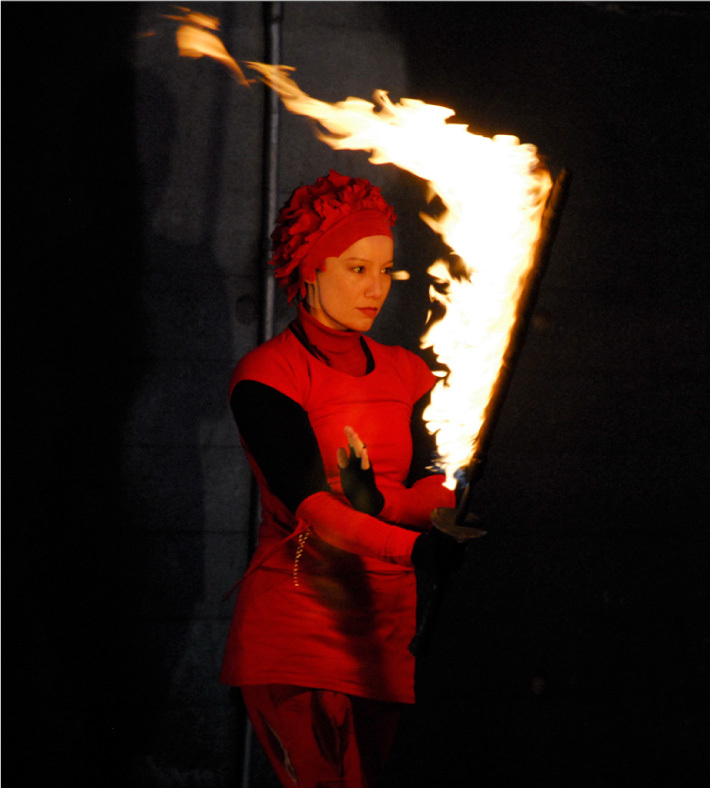 Sensuality, a touch of ceremony, precision of movement and an element of danger and the unexpected. 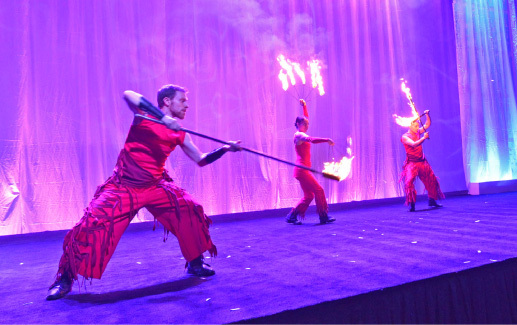 Fire shows are a combination sure to captivate your guests. 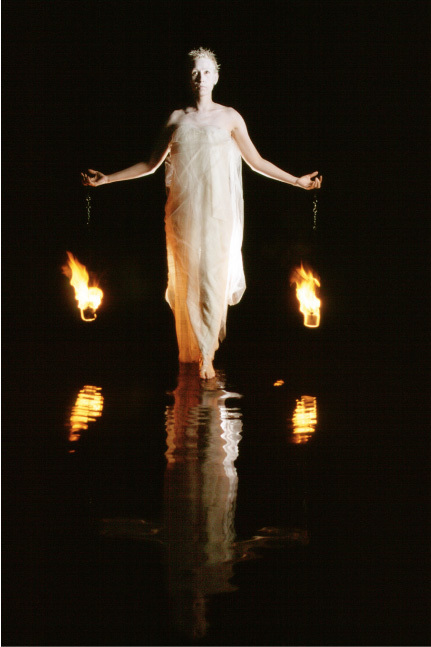 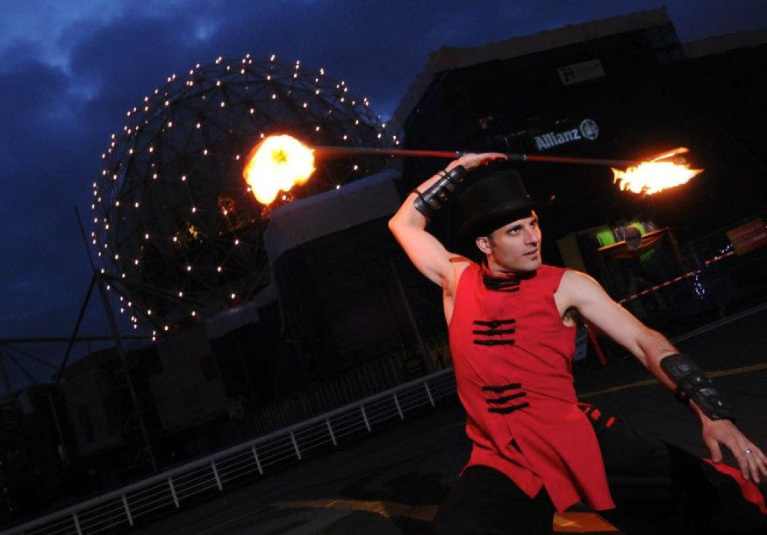 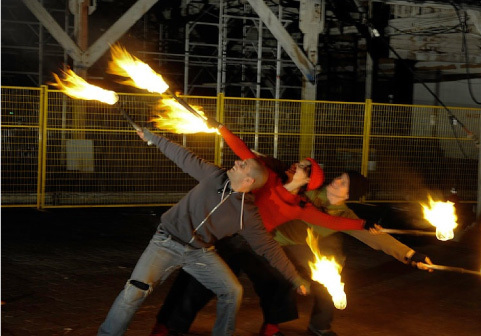 Our ﬁre shows are made up of multiple ﬁre acts using a variety of ﬁre tools and effects. 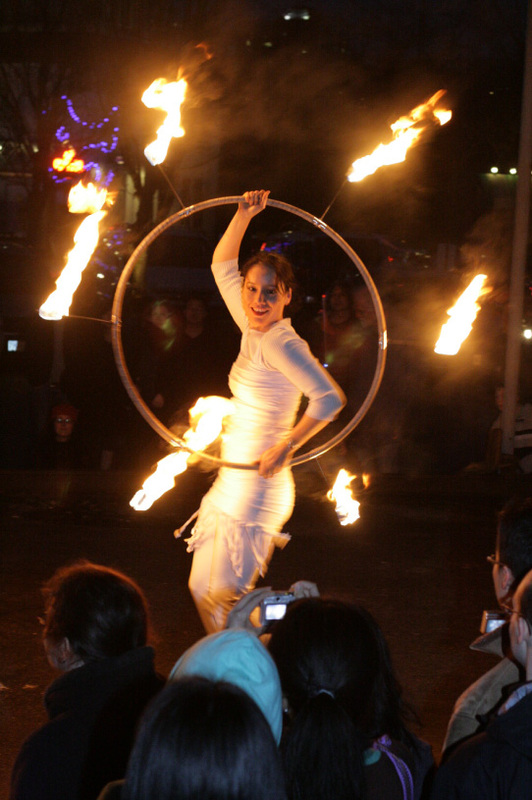 Each act is approximately 2 minutes long. 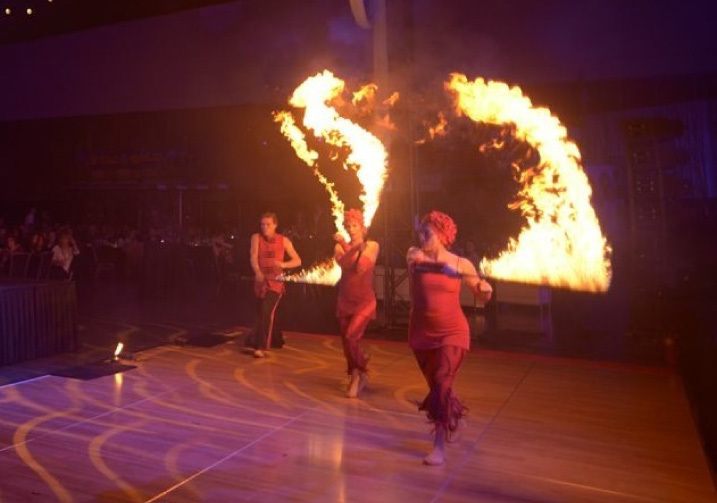 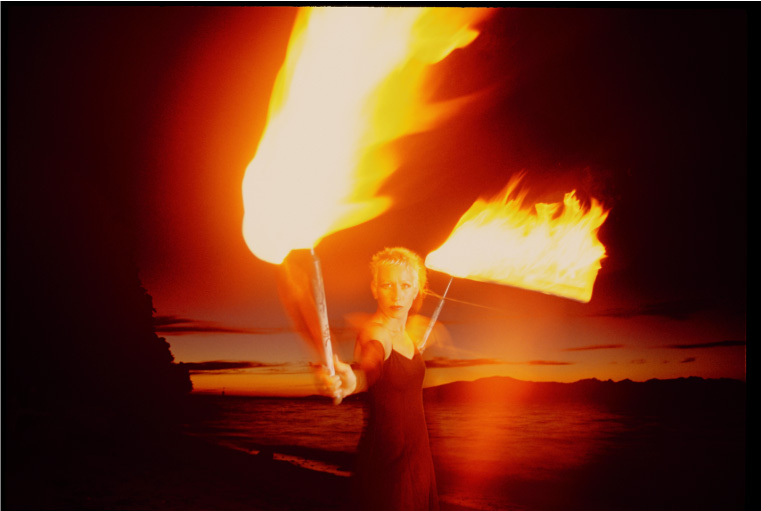 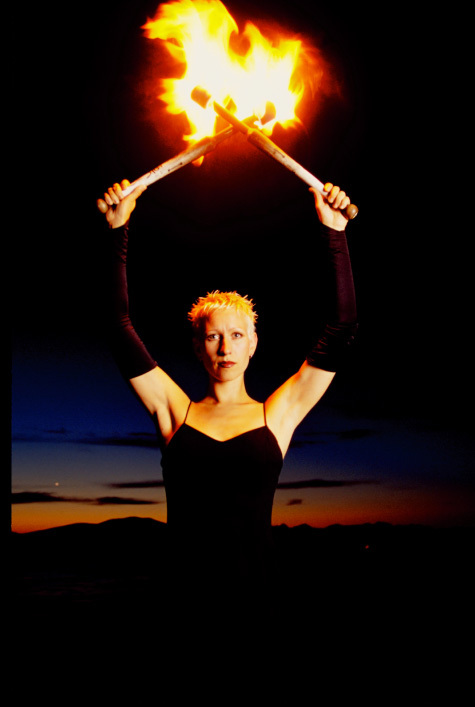 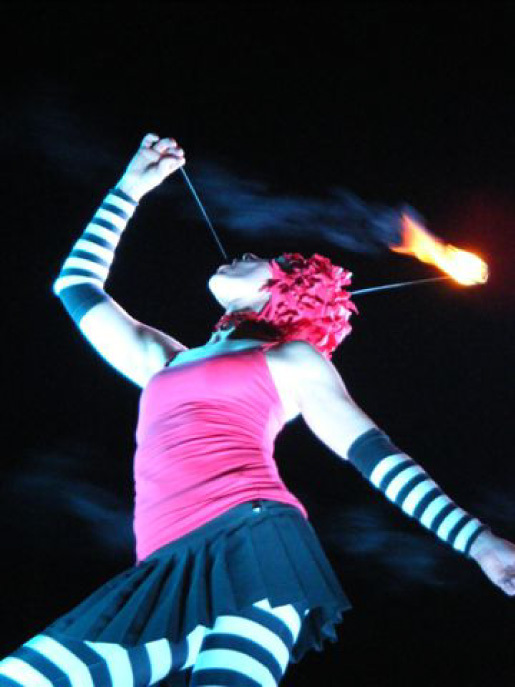 Our ﬁre acts include solos and synchronized group pieces using props such as a ﬁre fans, poi, ﬁre hula hoops, ﬂaming headdresses ﬁre ﬁngers, torches, ﬁre swords, big ball of ﬁre, long staff and double staff. 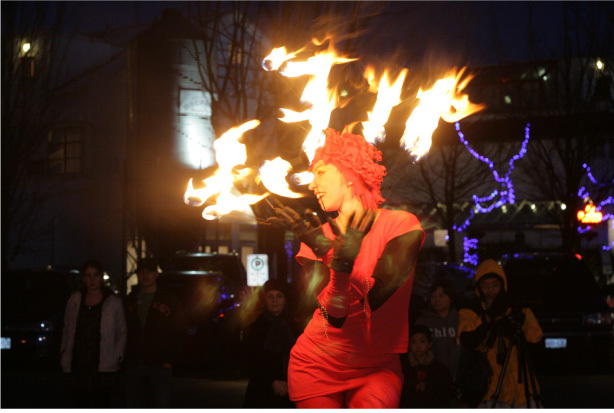 Shows often include ﬁre eating and can include ﬁre breathing on special request. 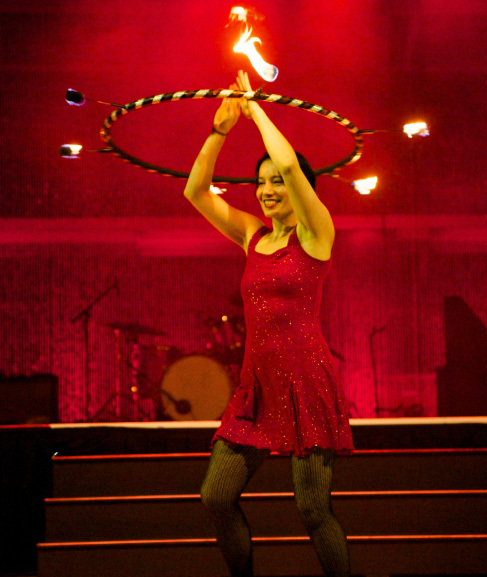 Choreographed shows with 1 – 3 performers are usually about 5 – 12 minutes long. 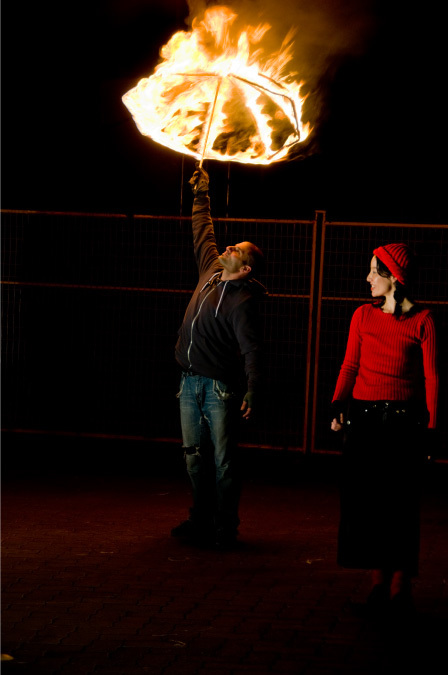 For longer shows (15 – 20 minutes) we would recommend incorporating some of our bigger ﬁre props (e.g. 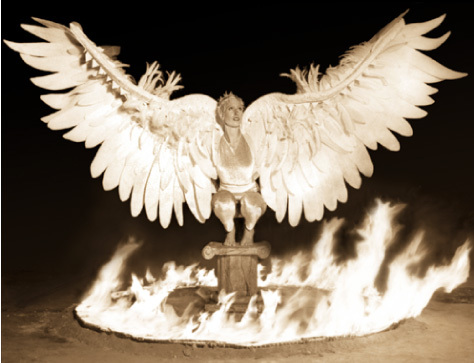 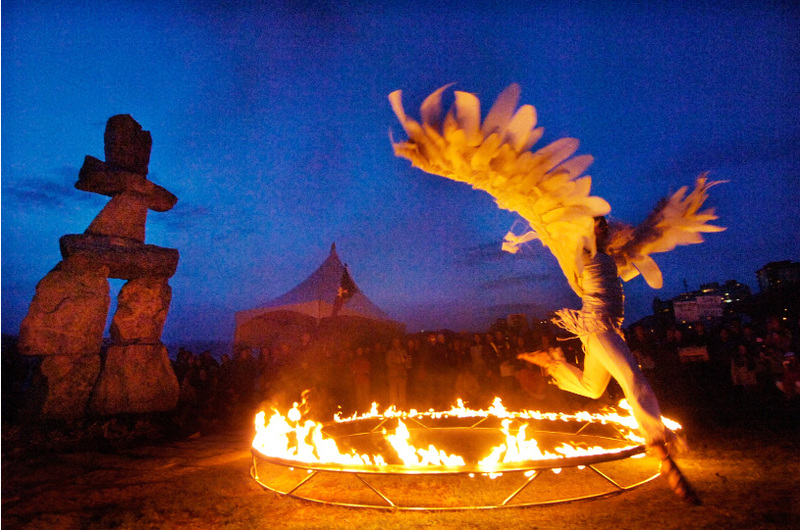 ring of ﬁre, ﬁre sculptures) and to increase the number of performers to 4 – 7 in total. 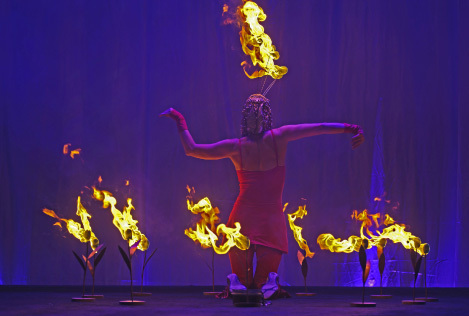 We have strict safety protocol around ﬁre performances and always have safety gear and technicians on hand to help with the show and to be available in the case of an emergency. 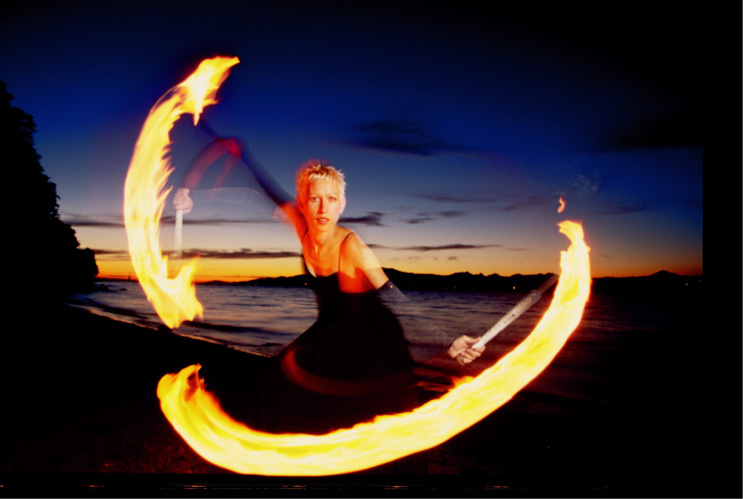 We take care of getting all the applicable insurance and permits from ﬁre departments as necessary.